A team led by American light artist Leo Villareal and British architects and urban planners, Lifschutz Davidson Sandilands has won the Illuminated River International Design Competition. 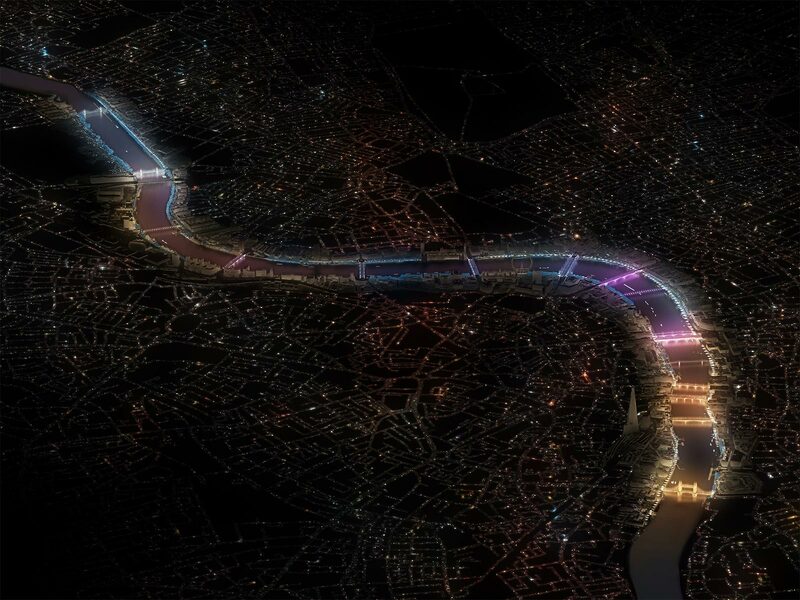 The Illuminated River is a design commission on an unprecedented scale: a unified scheme conceived to light central London’s bridges along the River Thames. The seven month search for a world class team to illuminate the Thames’ bridges in a free, permanent light installation saw submissions from 105 teams in 20 countries around the world. The six shortlisted concepts went on show in a public exhibition at the Royal Festival Hall in November, seen by over 10,000 people. The winner was announced by the Mayor of London, Sadiq Khan on Wednesday 7 December evening. The winning concept entitled “Current” proposes to integrate light and colour on the 17 bridges, from Tower Bridge to Albert Bridge, creating a sensitive, interactive and site-specific interplay with the river. A strategic scheme along both banks will control commercial lighting and introduce the setting for future cultural projects. Additional proposals include a ground-breaking partnership between the MBNA Thames Clippers and artists Random International, immersive installations by Japanese technologists teamLab and other opportunities that foster community and diversity. The winning team will now start to develop the design concepts in collaboration with stakeholders and partners along the river, and in consultation with the public. This work will take place in 2017.